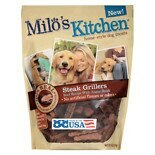 Shop Milo's Kitchen Steak Grillers (10 oz. )10 oz. $1099$10 and 99 cents$1.10 / oz. 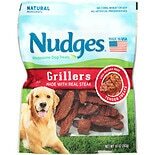 Shop Nudges Grillers Made With Real Steak (10 oz. )10 oz.